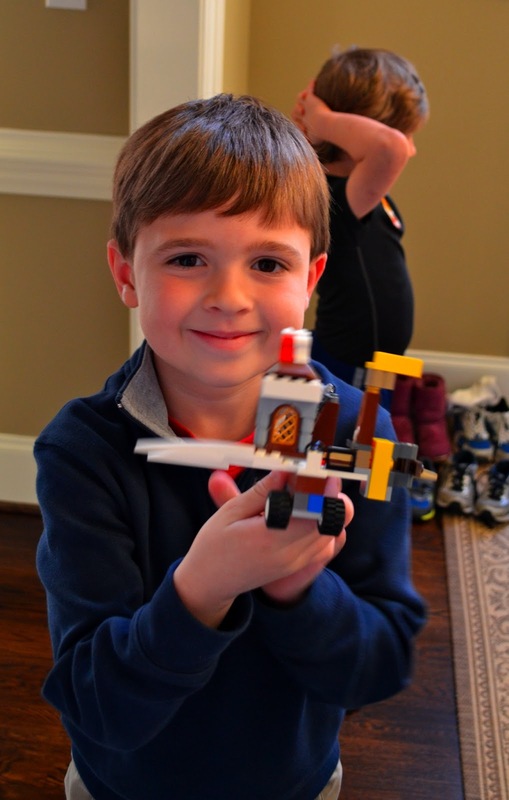 Yesterday we celebrated Jack's sixth birthday by having a Lego themed party with the neighbor kids. By far the most popular game of the day, closely followed by Lego Bingo (who knew? ), was the race car building contest. They had a bin of parts and about five minutes to construct a vehicle. The bins came from the target dollar spot and Jack helped me fill them up, making sure each guest had two sets of wheels, a mini-fig, some kind of base and enough blocks to make a car. 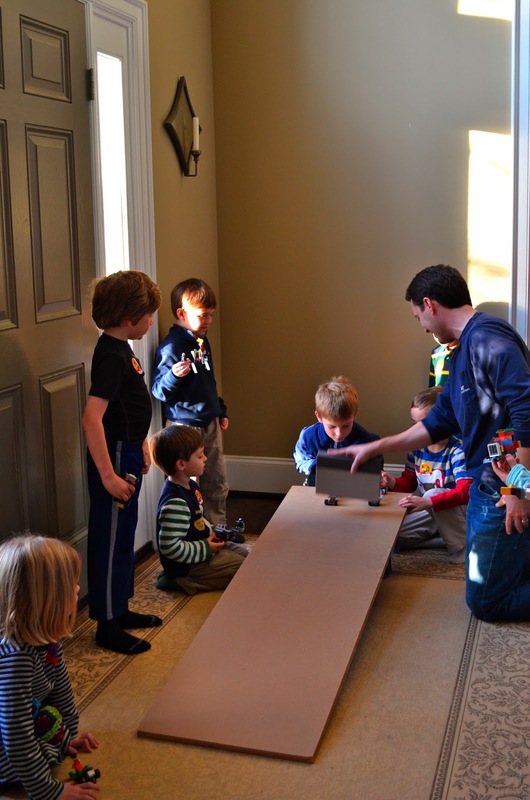 Then they raced against each other down a homemade ramp (a piece of MDF board on a step stool). The only rule is that your passenger has to stay in the vehicle or you are disqualified. Andrew had the great idea to make the start official by placing the vehicles up against a book and then pulling it up. He also got into the spirit of a sports announcer which livened up the contest a bit. Needless to say, I think we will have a ramp set up in our foyer for a few more days. The neighbors are over playing with them now. They are getting better at building faster race cars. After each contest, they scamper away to tweak their cars and make them faster. So if you are looking for a fun indoor play idea, I'm sure you have something that can be made into a ramp! 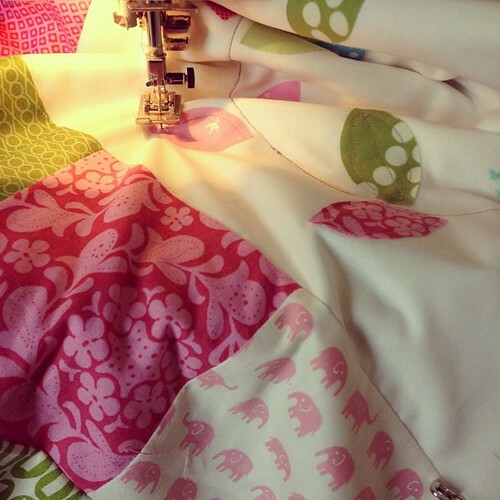 In sewing news, I finished a quilt top today, but I'll have to wait until next week for the full reveal. I also finished all of my bee blocks for January and will share those later this week. Also on tap for this week is Jennifer's Spread the Love Blog Hop. My day is Wednesday, so check back in for a tutorial and giveaway! Cool idea for games, thank you! My six year old would love to make race cars and tinker with them to make them faster. And lego bingo! What a simple but great idea. Bingo again Courtney:) I am looking for the least expensive place for the Lego bases so I can make a small Lego table for my grandkids...Would you know?